I like that wallpaper, though! Edited by cybormoron, 08 September 2007 - 06:40 AM. 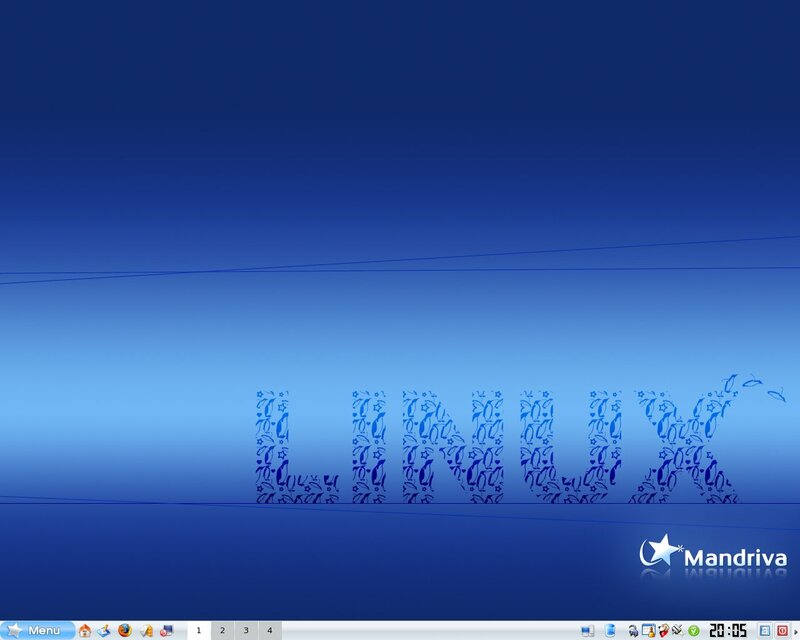 I'm a pc, running GNU/Linux. Edited by Frank Golden, 08 September 2007 - 01:51 PM. I like that fuzzy looking green felt desktop. That's gotta' be Xfce. Looks good! That's definitely where Windows belongs... in a virtual box... a locked one, preferably. That's a texture in Gimp. We have just the thing for You, Sir... The Windows RG! Try out this FREE demo in virtual Flash environment. Satisfaction guaranteed! Edited by steel, 12 September 2007 - 01:07 AM. Those are pretty neat, Louis. I especially like the Fluxbox one. I've never used that desktop manager. May have to give it a try! COOL! 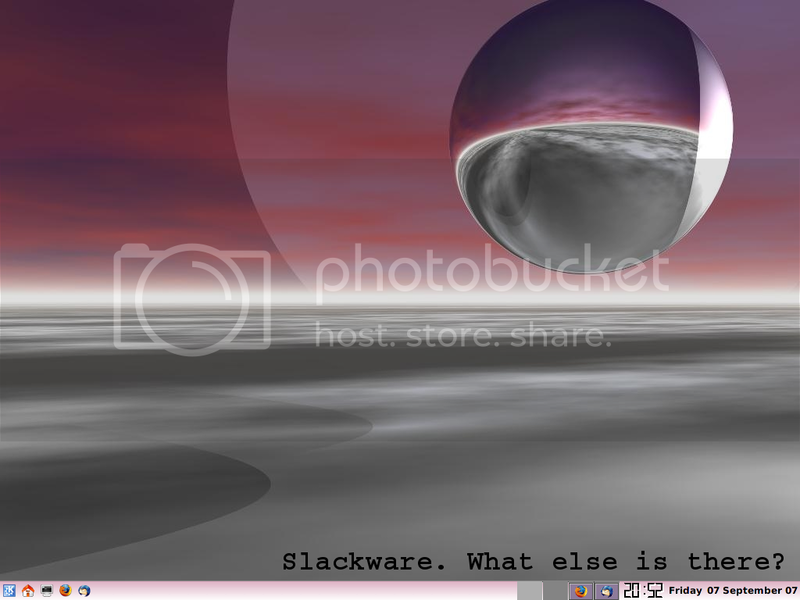 Fluxbox even has a version for Slackware. No time to play with GNU/Linux/Opensource goodies right now. I'm having to deal with XP and NT2000 at the new job.